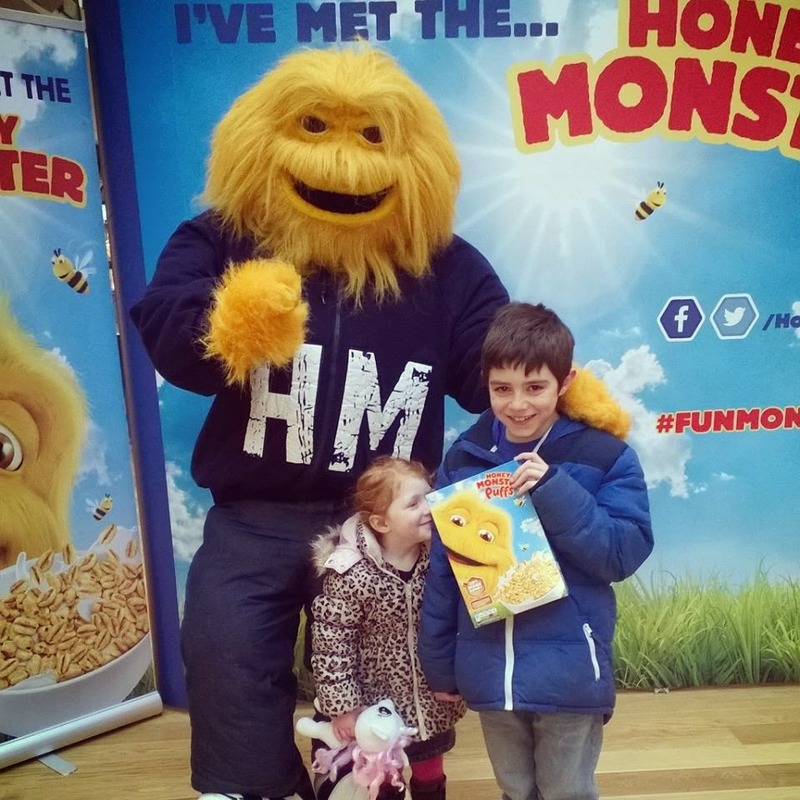 Trials & Tribulations Of A Brummie Mummy: We Got Monsterfied And Met The Honey Monster. We Got Monsterfied And Met The Honey Monster. So Honey monster puffs aka sugar puffs have had a whole new makeover from top to toe. The brand new Honey Monster Puff’s recipe with 20% more yummy honey than before. They have swapped sugar for natural sweetness of honey. I'm gonna hold my hands up now and admit sugar puffs is a brand I know but it something I would of never bought for my children. I remember watching a food show a few years back and cereals was mentioned and sugar puffs was in the top three worse ones for sugar. 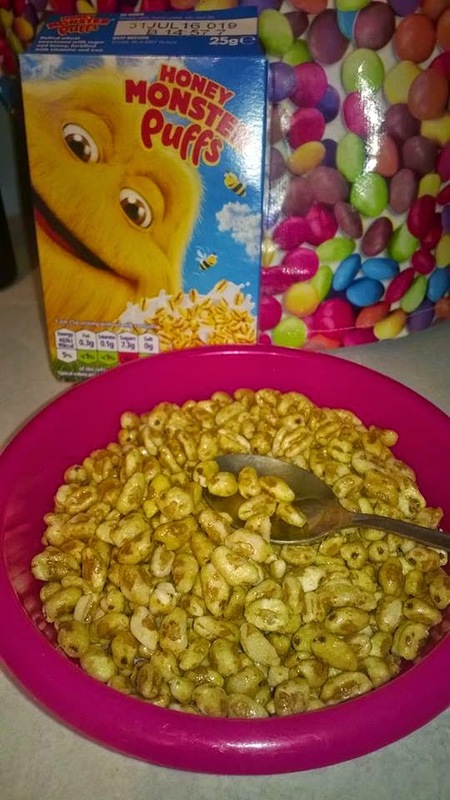 When I was asked to go and check out the new honey monster puffs, I was surprised they have changed the cereal to make it better and healthier. The new packs feature a delicious new recipe with 20% more yummy honey than before. At the same time, they have reduced the overall sugar level and have added clearer nutrition information front-of-pack, so you know exactly what’s in there and what’s not. Once home and I compared to cereals in the cupboard I was pretty surprised honey monster puffs was around the same in nutritional value. The taste itself is the normal classic taste that it always has been. Honey monster the star of a brand new TV commercial AND on the road for a MONSTER adventure. The new adventure begins in Birmingham’s Bullring Shopping Centre on 24th January 2015 from where I’ll be appearing in major shopping complexes in the Midlands throughout February. On 1st March 2015 my grand tour finishes in style at Star City in Birmingham, the ultimate venue for MONSTERFIED family fun! Check out the timetable below for your chance to meet the Honey Monster. Come and meet him, we did! Lined up an exclusive photo shoot where we will have #funmonsterfied snapping will samples of the new honey monster puffs too. Bring your family, meet-up with your friends! When fun unites people, that’s fun monsterfied. Happily brought together, by the honey inside. Labels: honey, honey monster, monster puffs.